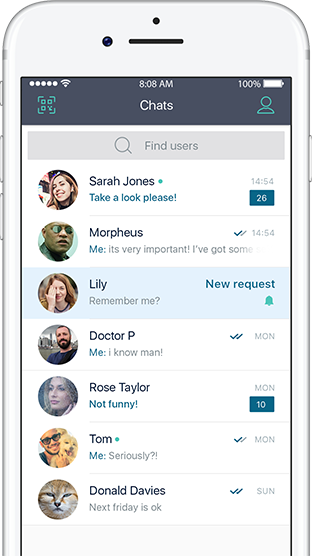 Cryptogram - Fast and secure messenger app. Cryptogram.IM is a fast and secure messenger app for iOS and Android. It has been built to make the messaging process easier. While the messaging is very simple with Cyptogram - your data is still safe and protected. All messages are encrypted and have digital signature, so no one could read or change them, even your network operator. You don't need a password to access your account. The authentication keys are stored on your device, so only you can access them. Besides that, you don't even need a username! Cryptogram uses its own protocol optimized for speed and security. Check the delivery speed of your messages and compare it with other apps. The messages history is not stored on Cryptogram servers. All messages are destroyed if not delivered in 24 hours. All messages are encrypted with the key known only by you and your opponent. So, even if a possible attacker had access to the server - he would be unable to read anything. Cryptogram is a free application and all of its features are available to users for free. Cryptogram.IM platform doesn't allow to create chat bots or mass messaging tools. We care about your peace and privacy. In addition, you have a Blacklist option. You can block any user so he would be unable to send you any messages or requests in the future. 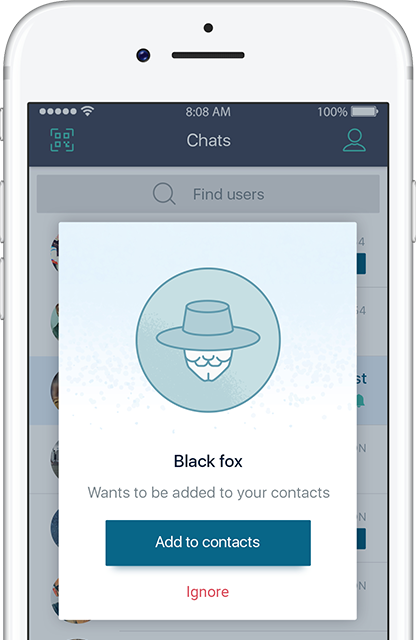 Another option allows you to store your contact list in the cloud. In that case you will receive messages only from people who are in your contact list. You may completely delete your account at any time. All information about your profile will be destroyed automatically.